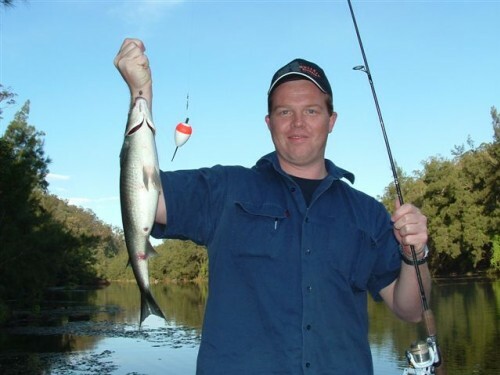 We specialise in the upper Nepean River between the Penrith Weir and Warragamba Dam. We can also extend tours into the Warragamba river, this depends on the time of year however. Also we are offering tours of the Sydney International Regatta Centre (Penrith Lakes), as they have bee stocked with bass for more than 10 years now. One of the best things about this tour is that you’re only 40mins from the centre of Sydney, but it seems like you are in the middle of nowhere. Steve Defina is your guide and has been fishing the Nepean for many years. He loves his bass fishing and is highly skilled in the art of surface lure fishiing. 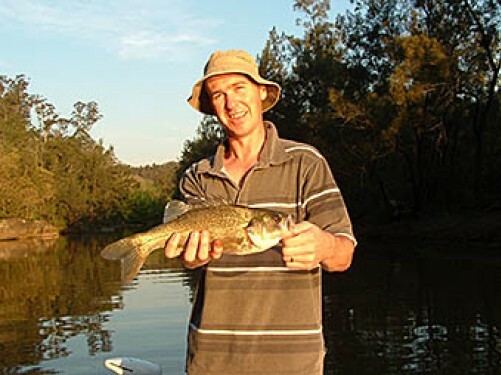 Steve also truly cares for the Nepean River system and the local environment. Steve loves the area and has spent thousands of hours chasing fish in the Nepean but it does help that he lives only minutes from the River. Bass2bait fishing adventures is also about having a great time, having a laugh, fishing and taking in the magnificent scenery. It is hard to believe that you are only just a few kilometers from Penrith, you might think you are in Kakadu (without the crocs) as it is so quiet and so pristine. On these trips we target bass, carp, mullet, herring, eels, catfish, and even some huge gold fish. At Bass2bait we promote catch and release bass fishing just take a picture home and leave the fish to breed and grow for next time. The half day tour is the most popular and is a minimum of 4 hours, howeber we also do 2 hour, 3 hour and full day charters. One of the best thing with these tours with Bass2bait is that there is no wasted boat trips so you spend the time fishing. Sunrise adventures start at approx 6 am from the wharf at Tench Reserve, Penrith. From there we will travel for a short distance to one of Steves fav spots and start fishing straight away. Sunset is my favourite time to fish and starts about 2 hrs before sunset and continues for a couple of hours after. 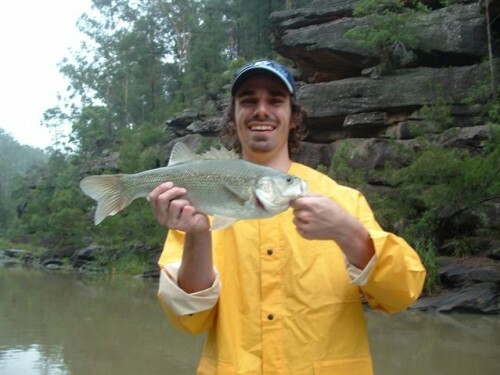 For this tour we meet at the majestic Nepean Gorgeto hook a few big mullet before sunset. When the time is right we move to one of Steve’s favourite bass spots and catch those bass that smash the surface lures. If you prefer we go carp fishing or chase some herring it is up to you. Bass2bait supplies all your fishing gear, with a choice of either the easy to use SHIMANO light spin gear or some nice overheads and baitcasters. Feel free of course to bring your own gear. Bass2bait also supply all your lures (on a ‘you lose you replace’ basis). ON THE FLY! We are now offering BASS FLY FISHING trips but these are ONLY for experienced fly fishers, we supply some great Bass fly’s but the rest of the equipment is up to you to bring.If you want to learn then contact and Steve can arrange to have you learn. Return Time: depending on the length of the tour. Inclusions: All gear (see above), cold water, soft drinks, fresh fruit and other snacks, wind jackets, sunscreen and bug spray. 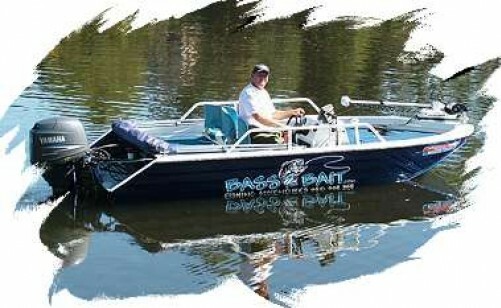 The bass2bait boat was custom designed by Steve and the team at Predator boats. The boat has a class 2 survey (no. 22561) from NSW Maritime and can carry 2 fishermen plus the skipper. The boat is of a punt style with a fairly flat hull and is 4.63 mtrs long and 2mtrs wide. The boat is equipped with all the usual compliant safety gear, and has a front and rear fishing deck, with stowage underneath. The main motor is a 4 stroke 60hp Yamaha. The secondary engine is a Minn-Kota 55lb thrust electric motor, with auto pilot and so we can sneak up on the fish without scaring them away. There is also a top of the range Hummingbird fish finder with side scanning, a GPS, weatherwatch etc. It also features movable seating so you don’t have to stand up to fish!